Next story iCalamus 2.18 – Desktop publishing solution. Previous story Aiseesoft Mac Video Converter Ultimate 9.2.18 – Video Converter. 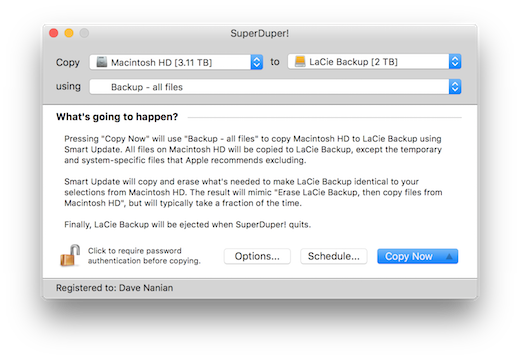 Carbon Copy Cloner 3.5.5 – Easy-to-use backup/cloning utility. Winclone Pro 7.3 – Clone your Boot Camp partition. Acronis True Image 1.0 – can help you protect your data by creating a full system image backup.